When we feel that someone we know/love is in a relationship that may be abusive, our instinct is to help. How do we go about helping without worsening the situation or scaring the individual away? They may not even be aware they are in an abusive relationship. If you don’t think this article applies to you, most likely you know someone in a violent relationship. The stats don’t lie: 1 in 4 women, 1 in 7 men, 15 million children exposed in U.S. per year. Jealously: is normal in most relationships, but only to an extent. If you notice they prevent your loved one from attending events, work, or look through their phone/computer, etc. this is a warning sign. Controlling: If your loved one has often had to check with their partner to make sure they can do something and don’t make choices/decisions/plans without first getting their partners permission. If you’re out with your loved one and they continuously check their phone to make sure that their partner hasn’t texted or called them. Isolating: Is you loved one being isolated from their friends/family? Do they not attend events that they use to enjoy? Do they not go out unless their partner is with them? Hypersensitive: If their partner is easily insulted and can’t handle jokes. Examples of this can be making your loved one feel bad for paying attention to others or making them feel bad for expressing their feelings about the relationship. Other signs include sudden mood swings, verbal abuse, abuse toward animals or children, threats of violence. More obvious signs include frequent bruises or your loved one having a sudden change of mind set, perhaps they’ve become depressed since being with their partner. Listen to your loved one when they talk to you about their relationship. If something doesn’t feel right, something probably isn’t right. 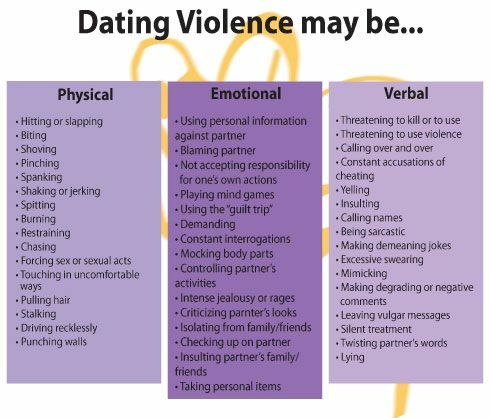 So, now that you know some of the warning signs for an abusive partner, how do you approach your loved one? Remember that there could be a variety of reasons why they’re staying. They may not realize that they’re in an abusive relationship (to them, it’s normal), for their children, financial situations, periods of times when things are okay in the relationship, or hope that things will get better. Don’t make your loved one feel ashamed. They may decide to cut you off, instead of receiving help. Let them know that you’re there for them. Do not tell them what to do, they’re already in a controlling situation and are not likely to respond well to your demands. Let them know there are options and they have people who are willing to help. Tell them delicately that you’re concerned for their safety. “Say things like, “I’m sorry this is happening to you,” “I know it’s complicated,” “It’s not your fault,” “You don’t deserve this,” and “This doesn’t change how I feel about you”). Because unsolicited intervention can feel disrespectful and controlling, it’s best to tread carefully. Victims must make their own decision to leave or take other actions, such as reporting stalking to authorities. To gently push them in that direction it’s best to ask questions like, “Are you open to getting medical attention, calling a hotline, reporting the stalking, going to the police, talking to an attorney (etc. ),” instead of telling them what they must do.” (Shawn M. Burn, Ph.D.) Reach out to them, but be aware that their partner might be listening into their conversations, or reading their texts, emails, etc. Ask them if it’s a good time to talk. You don’t want to put them in danger. If their partner thinks you’re against them, they may make your loved one cut off their relationship with you. Remember: Do not force your loved one to do anything, listen to them, talk to them about your concerns without coming off judgmental, let them know what resources there are and what options they have. Humboldt County Dispatch 623-6429 or 911. Nevada Domestic Violence Hotline 800-500-1556. 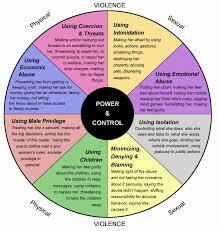 National Domestic Violence Hotline 800-799-SAFE (7233) or 800-787-3224 (TDD). Volunteer Attorneys for Rural NV 866-448-8276.